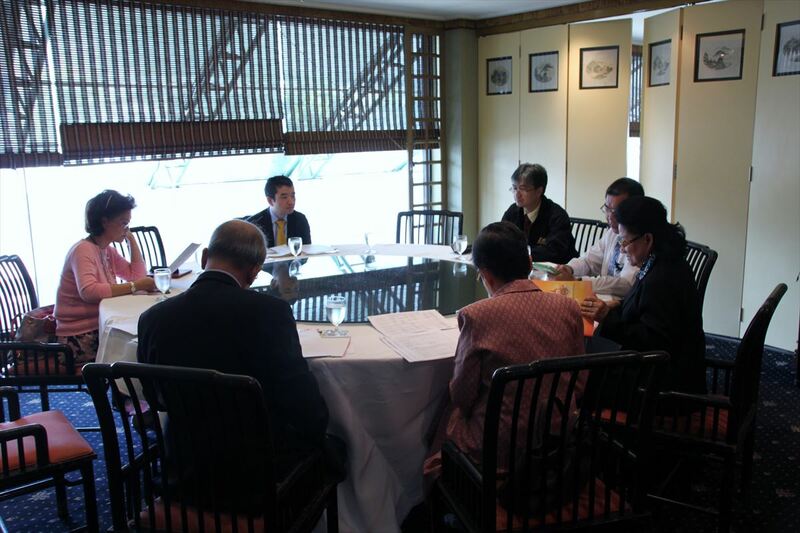 JSPS Alumni Association of Thailand (JAAT) held FY2014 Bridge Fellowship Program nominating committee meeting on March 14, 2014 at Maruay Garden Hotel, Bangkok prior to holding JAAT General Assembly meeting. The nominating committee consists of six members; Dr. Paritud Bhandhubanyong, committee chair, Dr. Busaba Youngsmith, President of JAAT, Drs Jiraporn Shauvalit, Sunee Mallikamarl, and Boonchai Techaumnat, JAAT board members and Prof. Kuniaki Yamashia, Director of JSPS Bangkok Office. After the just and transparent deliberation, JAAT decided to recommend Dr. Kittisak Sawanyawisuth, Associate Professor of Khon Kaen University to FY2014 Bridge Fellowship from among the 3 applicants. Dr. Kittisak kindly delivered the lecture about his research experience in Japan at JSPS guidance session in Khon Kaen University in November, 2013. JAAT expects Dr. Kittisak to promote JAAT activities in Khon Kaen as a representative of Isan (Thai northeast area) province.